FSAE is one of the largest competitions of its kind in the world, bringing together students from dozens of countries across the globe. 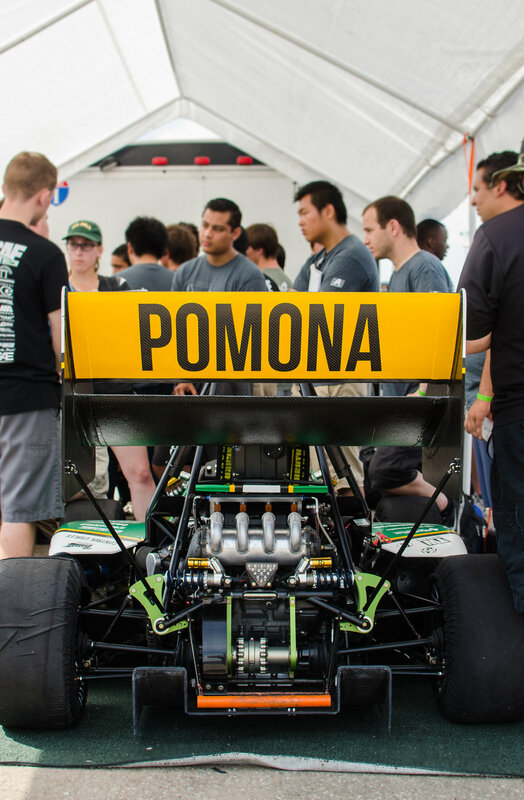 As competitors, we put in hundreds of hours of hands-on engineering as we design, build, and test our race car from the ground up, all while being full-time students at Cal Poly Pomona. We have the privilege of interacting with industry professionals and racing against top teams internationally. Alumni, with their experience, have gone on to work at many of the world’s top automotive companies. 2016 marking our 20th year anniversary, we are proud to be one of the top teams in the world. We are Bronco Motorsports. If you have a passion for motor-sports, engineering, business, or all of the above, we want you to join our team! Our team has been building cars since 1996. Marking this our 20th year anniversary. Check out the details of our most recent cars. Support from our sponsors allows our team to operate. Check out our great current sponsors!